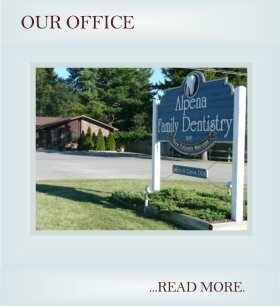 Our office is conveniently located on U.S. 23 South (across from the Big Lots/Dunham’s Shopping Center) and is accessible via all major roads. 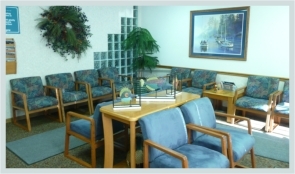 We are proud of our office which fully utilizes state-of-the-art equipment and dental software. We strictly maintain sterilization processes using standards recommended by the American Dental Association (ADA) and the Occupational Safety and Health Administration (OHSA). The privacy of your health information is important to us. We follow all applicable federal and state safeguards to maintain the privacy of your protected health and identity information. 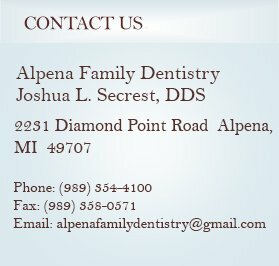 Our friendly and caring staff is dedicated to making your dental experience a positive one. We strive to provide “dental health care,” not just “disease care,” by performing thorough exams of the teeth and gums, oral cancer screenings, and x-rays when necessary. Our team emphasizes comprehensive quality care and preventive dentistry by providing a variety of treatment options. In addition to general dentistry and cosmetic dentistry, we work with specialists in periodontics (gum disease), implant dentistry, endodontics (root canal therapy), and oral surgery. "We look forward to welcoming you to our office." We accept most insurance plans. Please call to make an appointment and we will answer any questions you may have concerning your insurance benefits and coverage. We accept most major credit cards, cash, and personal checks. We can also help our patients explore a payment plan through a third party called CareCredit. We’re pleased to offer our patients the CareCredit® card, North America’s leading patient payment program. CareCredit is the credit card exclusively for healthcare services. CareCredit offers monthly payment plans for healthcare procedures not commonly covered by insurance, including dental treatments. Plus, you can use your CareCredit card over and over for follow-up appointments.